Our block at the Altoona Grand is sold out; please try one of our other host hotels. To get the block rate, you must call the hotels (by 4/1/2019) and let them know you're with the Allegheny Ukulele Soirée! Update 12/11/18 - The block at the Altoona Grand is Sold Out! Please register for a room at one of our other options listed below! 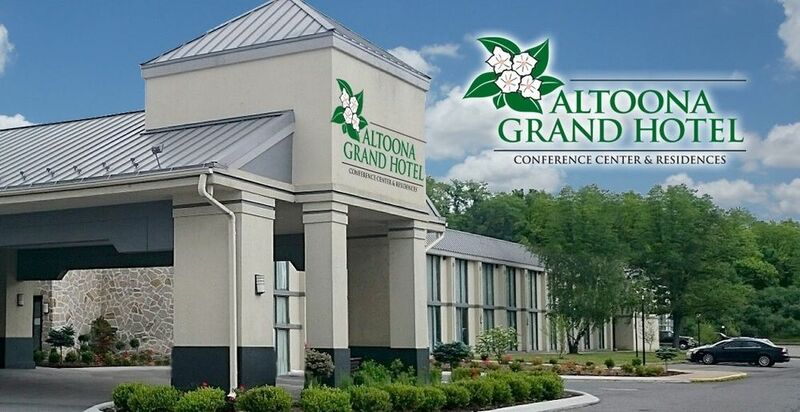 Our official Festival Hotel is our host venue, the Altoona Grand Hotel! We have arranged for a block of rooms at a rate of $90/night (+ taxes). To get this special rate, you must call the hotel at 814-946-1631 (by 4/3/2019) and let them know you're with the Allegheny Ukulele Soirée!